In this passionate love-hate letter to the film industry, Peter Bart pulls together his best columns from Variety and GQ, outlining in detail the history and inner workings of Hollywood. In story after story, Bart shows how the major studios have diverted their energies away from production of the shrewdly crafted pictures that once made the industry powerful. There isn't much range or innovation in the movies today, only a handful of salable subjects: natural disasters, aliens, dinosaurs, ghosts, monsters, or any combination thereof. All are subjects easily parlayed into theme-park environments, action figures, video games, and clothing lines. Even the once edgy independent producers like Miramax and New Line have been acquired by conglomerates. Who and what will resurrect Hollywood? 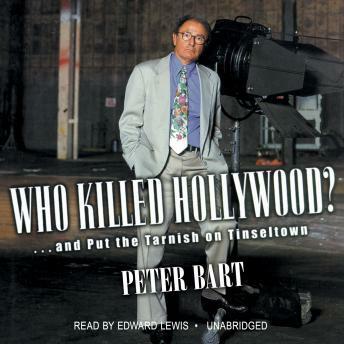 Peter Bart has the answers.